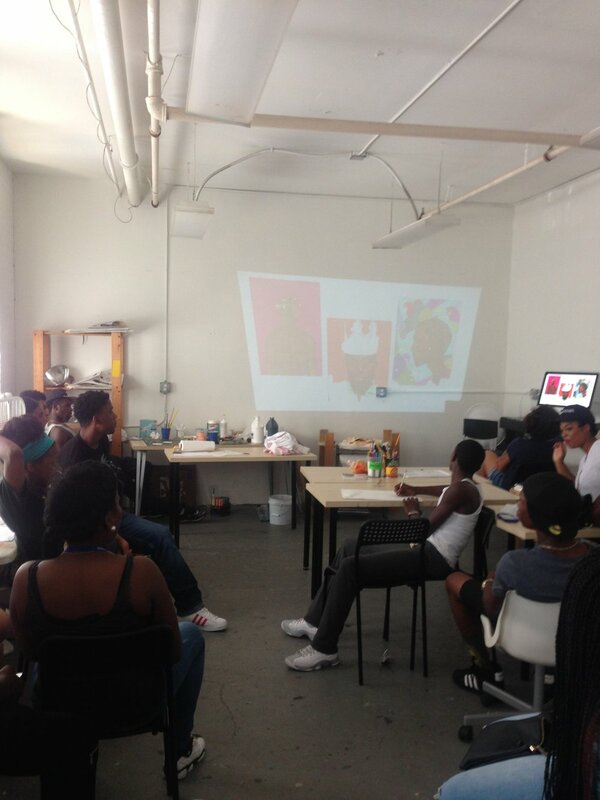 In summer 2016 we ran the first BYA Summer Employment Program! 17 youth were hired in July and we were able to hire an additional four youth staff members. 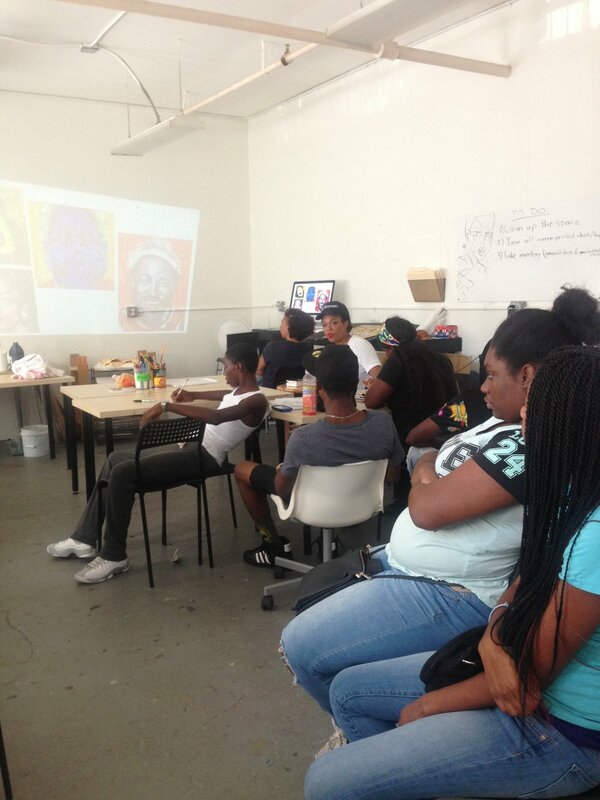 During the 6-week employment program, BYA Youth Staff received in-depth arts education and programming. They were trained in a number of different artistic techniques, including painting, drawing, screen printing, sewing, and digital design. Youth staff were split into two teams: Visuals and Design. The Visuals team spent the summer designing and painting a mural for a local daycare center, while the Design team created both individual and collaborative products, such as paintings, multiples, and clothing items. 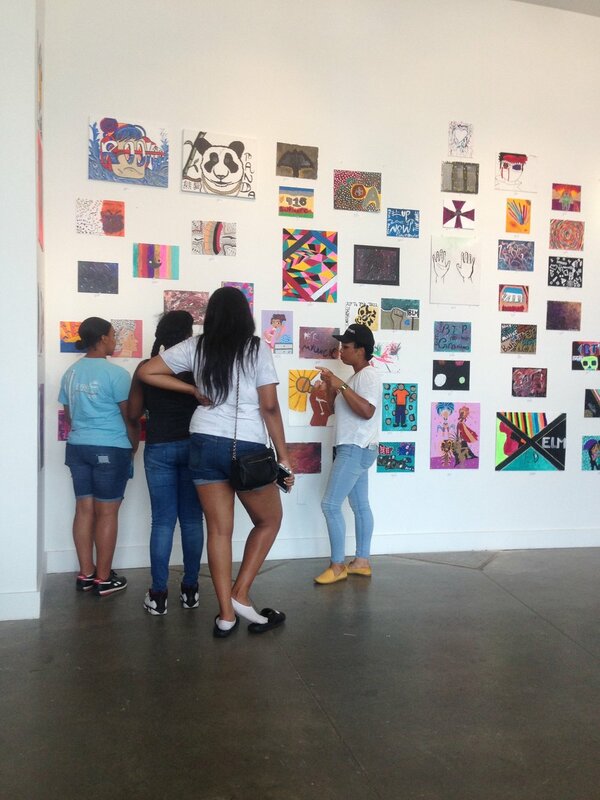 The BYA summer program was made possible by the generous support of the Robert W. Deutsch Foundation, the Family League of Baltimore, the Morton K. and Jane Blaustein Foundation, and the Rouse Charitable Fund. Artwork created at the BYA Community Studio, the Baltimore City Juvenile Justice Center, the Thomas JS Waxter Children's Center, and the Lillian S Jones Recreation Center.